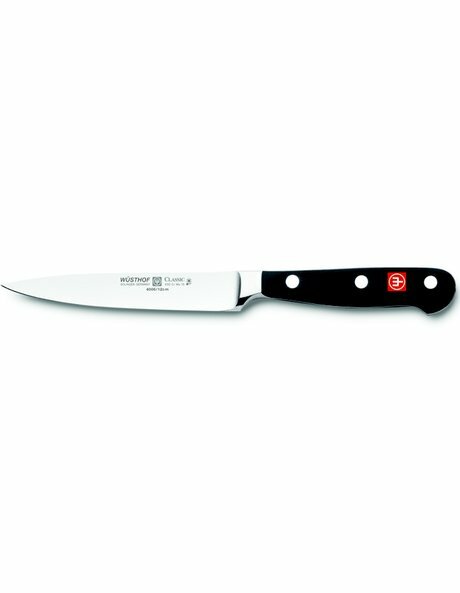 Enhance your arsenal in the kitchen with the WUSTHOF TRIDENT Stainless Steel Utility Knife 12cm. A versatile paring knife, mince anything from shallots to onions and herbs. For those more challenging pieces of food that require a smaller blade this design excels with supreme sharpness.